At DTI, we're pleased to have developed a reputation for providing a very high level of support to our clients, as well as being proactive in addressing any issues and helping with customization and integrations. In particular, DTI provides white glove support to construction companies utilizing Viewpoint Content Management (VCM), and other ECM solutions. We have enjoyed working with so many VCM clients in 2017, and it has been wonderful to really see the impact we have made for many of these clients. Today, I want to highlight one of these companies and share what we have been able to do for them. 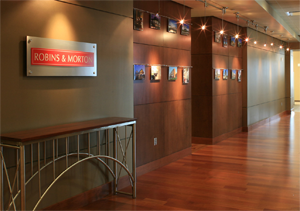 The Robins & Morton Group is a 72 year old, privately-held construction and engineering company that consistently ranks among the 100 largest U.S. builders in Engineering News-Record Magazine. Robins & Morton has been using VCM for many years. Part of their solution included an integration between Textura and VCM (ApplicationXtender). This integration filed content from Textura automatically into ApplicationXtender, complete with index values. During our support onboarding process with Robins & Morton, DTI engineer Jim Mason noticed something was off. Upon closer investigation, he discovered that there were error files being generated, which had been going on for three years. Working with Robins & Morton Group client, Denise Balzer, Jim identified the source of the error and a potential fix. When the fix was presented to Textura, they didn’t want to change their component to be a “one-off” from the rest of their client base. When the fix was presented to Viewpoint, the answer was much the same, stating that the problem was on the Textura side of the line. Of course, this left the client with two manufacturers unwilling to help them. Knowing what needed to be done, DTI committed the time and fixed the problem. Without getting too detailed, we spent the time needed to write a script, test it, and implement. But we didn’t stop there. We saw an opportunity to improve the process and put another script in place that would look for these type errors and send an email notification to their system administrator moving forward, so that they would be aware if any issues arose, and could fix the problem. DTI support is not just about fixing errors, its about solving problems. Congratulations and thank you to Jim Mason for noticing what had gone unattended and identifying the source of the problem. The Robins & Morton Group has now reclaimed benefits from their VCM system!